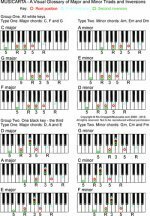 Musicarta’s old Chord Progressions pages have been upgraded and released as the Musicarta Key Chords Volume 1 digital home study download. These web pages now showcase the product. Sample Lesson Three introduces full-on I-IV-V 'La Bamba'-type riffing. 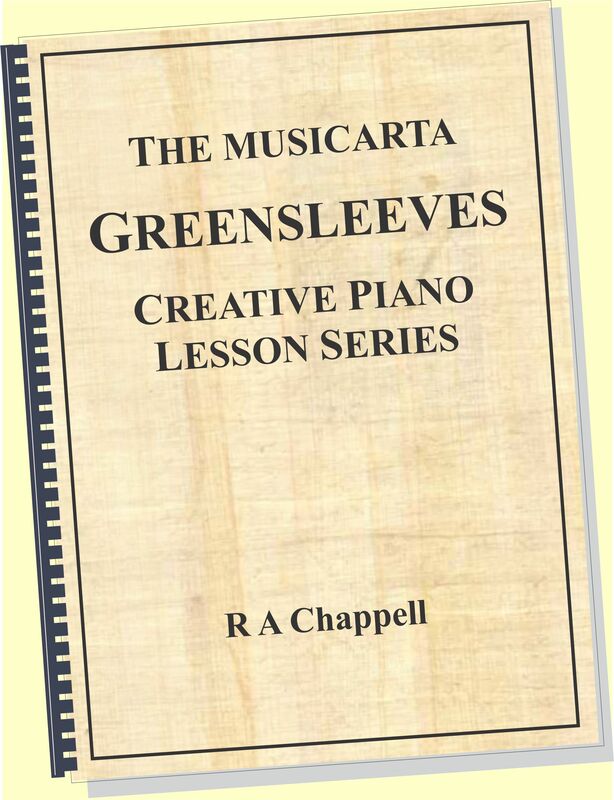 This lesson shows you how the Musicarta Key Chords download introduces the first-choice minor chord, the submediant or vi (‘Six’) chord – sometimes called the ‘relative minor’ – and the great riffs you can play once it's in your chord vocabulary. 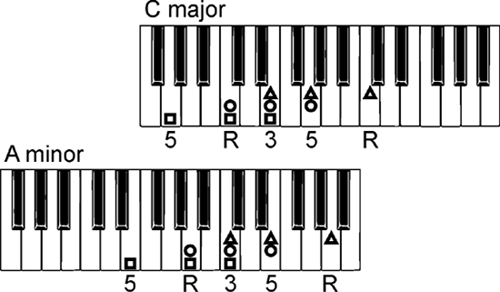 'Six' is a minor chord built on the sixth degree of the (major) scale of 'the key you're in'. 'Six' is easy to find - there's only one note difference. Pick any three chord tones from the top keyboard and follow the voice movement lines down to find the closest inversion of vi. 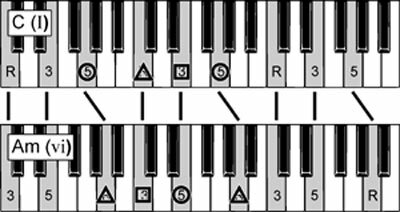 Then you work methodically through closest inversion sets of I-vi-IV-V.
Key Chords has its own four-chord module riffs, custom-designed to rehearse all the harmonies you can now play. Want to play like that? The noticeable thing about that - as a riff - is the patterning in the right hand. You won't normally find music like this written out, anywhere - and if you do, it's just confusing! 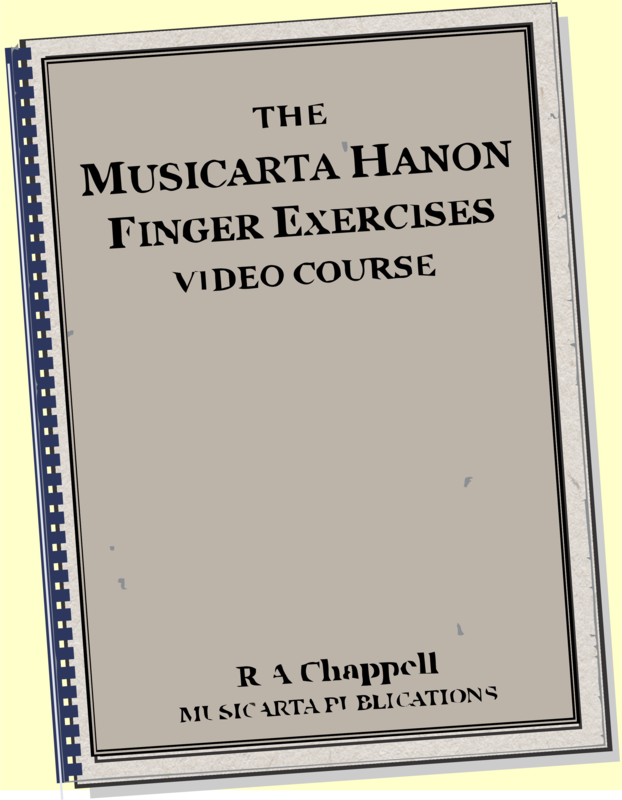 The right hand has essentially split itself in two - the melody note at the top with its own rhythm section 'flapping' underneath. Note: The video quality is much better played off your own desktop - but you can still see at second hand how the right hand 'waggles'. 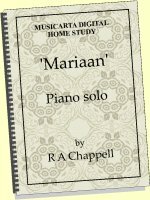 It's something to work towards - and Key Chords offers three 'stepping stone' approximations for this challenging right hand technique. By now, you will have noticed circles, squares and triangles on the MS and illustrations. Musicarta uses these symbols to indicate the three possible inversions of a triad. This convention is a lot more intuitive than wordy 'root position', 'first inversion' and 'second inversion' names. Experience shows that it helps learners spot and play inversions with ease, a lot more quickly. 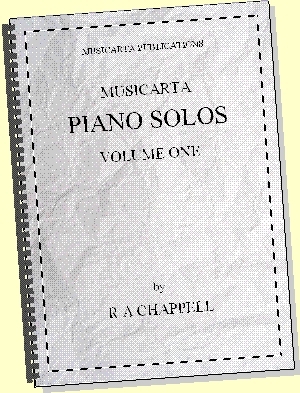 The convention is also used in the Musicarta Keyboard Chord Generator (free download link). You'll notice that the video helps you find I and vi in three keys. 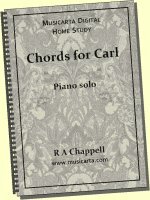 You can't play in easy all-white-key C for ever - none of the three sample vi-IV-I-V YouTube hits linked above are in C. Sooner or later, you have to find the four Volume One key chords in other keys - which is the subject of the next (and last) sample lesson. 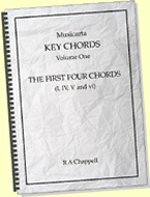 Click through when you're ready, but before you go, here's another treatment of the four Volume One key chords, this time starting from vi (A minor).